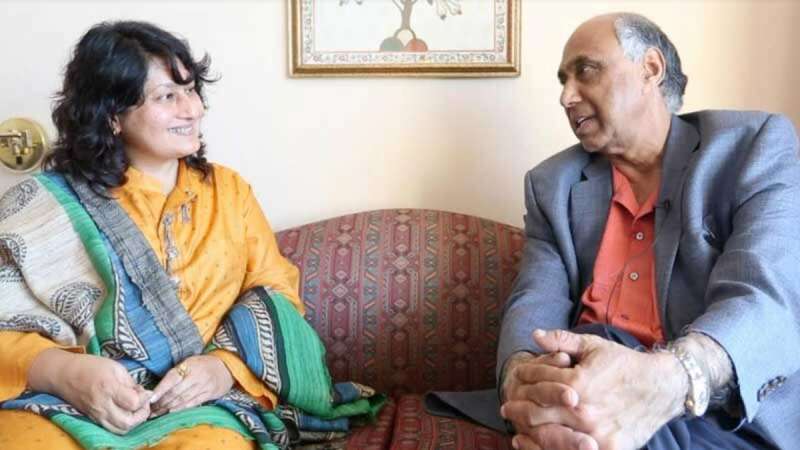 New Delhi : Renowned entrepreneur and intellectual from Bollywood, Fauzia Arshi was hailed by eminent American Entrepreneur and Economist Frank Islam during his recent visit to India. During his recent visit to India, Frank met a series of influential people in the country and Fauzia was one of them. Frank invited Fauzia to be a part of Frank & Debbie Management Complex as she is also a professor of management. Frank appreciated her for her achievements and especially her book on International marketing management which is a textbook for the various universities in India. Commenting upon her meeting with Frank Fauzia said, "Frank is the pride of India and an inspiration for achievers." When Fauzia asked Frank about his suggestion to the Indian government, Frank said, "Government should make it easy when it comes to giving seed money to the budding entrepreneurs in order to make India a self-sustained economy." Internationally influential Frank is famous world over for his philanthropy and honest opinion on US politics. He owns one of the most lavish and luxurious houses in the world. One of his gifts to India is Frank & Debbie Mangement Complex in Aligarh Muslim University. It is one of the best management institutions in India.